A new entry, straight in at sixty-two. 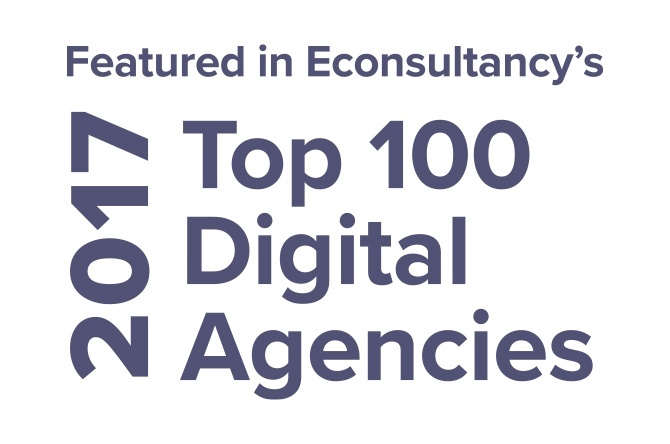 This week we featured as a new entry at number sixty-two in Econsultancy's annual Top 100 Digital Agencies report. It's a big deal for us. Whilst revenue growth isn't our driver (for those who don't know we focus on delivering excellent quality and value first and foremost), this report does illustrate our progress as a digital consultancy in a competitive market. The top of the table is now dominated by conglomorates on a huge acquisition drive. Accenture alone have acquired 15 other agencies since 2013 and earlier this year announced they plan to spend a further $1.8 billion on acquisitions. The top 5 agencies now account for 39% of the entire fee income of the Top 100. Half of the total fee income is accounted for by nine agencies. The great news for us is the enormous potential in the marketplace for us to continue to snap at the big boy's heels. When we say we want to be the best, we don't mean we want to be the biggest and so we'll never be ranked alongside them in a fight based on revenue, but we do want to show that there is a better way of doing consultancy, which of course is why we set-up in the first place. What's unique about Red Badger is our ability to punch above our weight - we regularly pitch against the agencies at the top end of the report, who completely dwarf us in their size. So what are people seeing in us? Primarily it's about our people and culture. Across the whole team we have a bunch of talented people who care deeply about what they do. When we get it right, our clients see that passion and they love it because it feels different, and is different, from what they can get elsewhere. It is also, I believe, the right way to do things. Aside from looking at the competition and patting ourselves on the back, the report is a great source of insight and inspiration. We particularly like the 'most respected' feature where every entrant was asked to nominate a peer. Well done UsTwo, you're very deserved winners. On a final note, we thrive on meeting new people. So if you like the sound of Red Badger why not say hello. Whether you've got a project in mind, fancy coming to a meet-up or are looking for a new job we'd love to hear from you. Say hi.